Don’t have “a little work done.” The only time you should be under the knife is when the surgeon is cutting out the round you took Defending the Innocent. And then your anesthetic should be Psalm 13, a stout leather strop on which to bite, and a fifth of Jack Daniels. Tequila works if you’re in Texas. 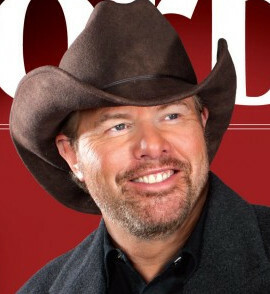 This was on my mind as I walked passed the magazine stand and Toby Keith caught my eye on the cover of Forbes. Looked like something caught Keith’s eye, too. Either a mouse or the scalpel of a vanity doc. Could be—I hope to God it was—an overzealous Photoshopper. It brings great pain to these skittish computer jockeys (I won’t say “artists”) that somebody might notice what they consider an imperfection. So click to the soften tool (or whatever), a few swipes here and there, and everybody comes out looking like a plastic doll made in a Chinese factory with shaky quality control standards. Faces which have been Photoshopped for magazines look like that startled Nazi in Indiana Jones whose face was melted. But it could have been a blade. Keith is, after all, at “that age”. These are the years just past fifty, when everything starts heading south. This is when vigor nostalgia strikes and if it’s not evaded it can lead to bad news, poor choices, and an entry on the new liver waiting list. Or an appointment with a med school graduate who uses his healing skills to cure his overdraft. 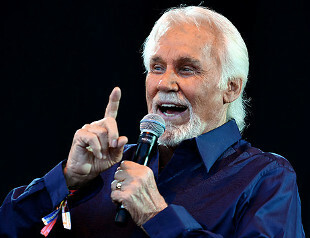 Contrast, if you will, Kenny Rogers who surrendered to Johnny Cash who did not. Country singers both, about the same age in these pictures. Heartache, grief, the travails of the Common Man their business. Who’s more believable? Maybe we could have guessed The Gambler would have gone this route. Too many pop tunes in his oeuvre, including an album with the Bee Gees. 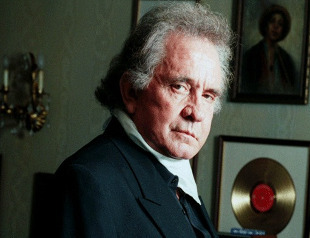 Cash never really succumbed to that temptation; but then he led a harder life. I can’t look at Rogers without cringing. I can’t see the man, just those cat-like eyes. Look at pictures from when his fame was at its peak, and seeing him now, I feel let down. Not that I ever listened to him, or cared about his career, but you hate to see any many feminize himself like this. Makeup is for the stage, and the only excuse for it. Sean Connery, the Duke, and, yes, even Bing Crosby, the coolest of cool customers, all wore rugs for cinematic purposes. But they got them off their skulls as quick as possible when the lens caps went back on the cameras. Crosby hated his so much that he tried, and got away with, wearing hats on the set to disguise his bare pate. There’s a story told of John Wayne. He was talking to a bunch of college kids—the least knowledgeable, but most passionate of people—about Vietnam. Some brat yelled out that Wayne shouldn’t be listened to because his hair wasn’t real, whereupon the Duke lifted off his toupe and said, “Sure my hair is real. It’s not mine, but it’s real.” But you don’t need lessons on John Wayne’s manliness. Anyway, none of these men, as far as we know, womaned-up and had a “procedure.” Maybe because they didn’t feel they had to. But lesser fellows increasingly figure a little stretching here, a little gouging there to set their faces into a leering rictus will make them look younger. It doesn’t. It makes them look like old men who were rescued from chemical spills. Age gracefully, guys. Bald with grace. Leave ponytails for those with hair. Trade in your shorts for pants. Leave youth to the young. Nobody takes a man seriously who is pretending to be a boy. Evidently it is so. I remembered reading that long ago. But now-a-days, I think many of the stars are starting with surgery in their 30s and 40s. They are getting “full treatments”, possibly believe the goal should be to look “young” and they often end up not looking quite human. I think some in the Hollywood region have lost so much perspective they don’t realize that plastic surgery face” does not look young especially not if they go to the extreme of looking weird. Quite, looks like a tortoise in a wind tunnel…. When I got the gist of today’s topic I was expecting a generous helping of Nancy Pelosi references and didn’t even get one. Although Lucia did come close to describing N.P. with the â€œpull the face sideways and up make you look like an alienâ€ and the observant “they often end up not looking quite human.” Feeling better now. As a 50’s something male physician I have a lot of colleagues doing their best to “use (their) healing skills to cure (their) overdraft.” Although most believe, unsuccessfully it will sate their avarice. It is very easy to convince some of our generation to have a nip and tuck. We live in a vain culture, where it seems youthful looks are everything, causing immense insecurity to those who no longer have them. As far a I am concerned, I have earned my greying hair, and crows feet. Though if I ever have ptosis that obscures my vision, I will not hesitate to have it surgically corrected. Oh God, the Daily Mail. A rag that generates the pressure that pushes people to cosmetic surgery (check out the “side-bar of shame”) and then rants about it. Why do you care? Seriously. Vanity and financial gain are facts of life for most people, and especially those who sell their appearance and/or performing talents. You may argue that it’s deceptive, but then so is grooming and the mode of dress (especially the hats) you advocate. Can you explain the apparent inconsistency in your opinions? You have me, Gary. I admit wearing a hat and having your face hacked apart in a futile effort to look young are equivalent entirely, just as you say. Briggs, a cheeky reply (nice one); but really, these are just points on a spectrum if the premise is true that it’s desirable to modify your appearance so you are more pleasing to look at (even if you are badly mistaken about what the results really say about your self-image). Btw, I have no animus against hats. In fact I always were a cap when flyfishing; it’s part of the dress code on the streams. Previous Previous post: Sharks. Tornadoes. SHARKNADOES!